[New York, NY] In the weeks since Hurricane Maria, many Puerto Rican actors, journalists, and musicians, have used their respective platforms to advocate on behalf of the island, from Ricky Martin to Jennifer Lopez, and so on. They have also found creative ways to help, with the song “Almost Like Praying” by Lin-Manuel Miranda being one such example. On Friday, November 10th, Centro’s Creative Network of the Puerto Rican Diaspora, in partnership with Prime Latino Media, will bring together multimedia content makers, actors, and journalists from across the country to gain a broader understanding of the humanitarian and economic crises in Puerto Rico; and explore the use of multimedia arts as vehicles for social change. “Puerto Rico, Puerto Ricans: Multimedia-Makers & Actors” will take place from 1-6pm at the Silberman School of Social Work in East Harlem (the corner of 119th St. & 3rd Ave.). The program includes three panel discussions that will focus on Multimedia-Makers, Actors, and a Critical Overview of Media. Louie E. Perego Moreno, Founder and Executive producer of Prime Latino Media, will be the Master of Ceremonies—in addition to moderating the first panel. Javier E. Gomez (Actor, Producer, Journalist, Host of Diálogo Abierto) and Susanne Ramírez de Arellano (former News Director for Univision Puerto Rico) will moderate the subsequent panel discussions. The panelists range from actors Lauren Luna Vélez (Dexter, Oz, Ugly Betty) and J.W. Cortes (Gotham), to poet and educator María Teresa “Mariposa” Fernández, among many others. Lorca Peress, President and Founding Artistic Director at MULTISTAGES Theatre Company and Founding Member of Creative Network of the Puerto Rican Diaspora, will provide the closing remarks. Multimedia-Makers & Actors coincides with Centro’s Rebuild Puerto Rico initiative and is part of the Puerto Rico, Puerto Ricans diaspora summit series, which Centro launched in May 2016 to address the ongoing economic crisis on the island. We encourage those interested to RSVP via the Centro Nation Builder Website. The event is also free and open to the public. 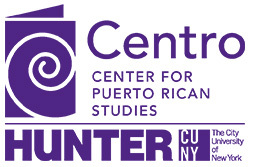 About Centro: The Center for Puerto Rican Studies (Centro) is the nation’s leading university-based institution devoted to the interdisciplinary study of the Puerto Rican experience in the United States. Centro is dedicated to understanding, preserving and sharing the Puerto Rican experience in the United States. Centro also collects, preserves and provides access to library resources documenting Puerto Rican history and culture. We seek to link scholarship to social action and policy debates and to contribute to the betterment of our community and the enrichment of Puerto Rican studies.